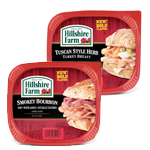 Today only you can download a coupon to your Smiths card for a Free Package of Hillshire Farm BOLD Lunchmeat. The coupon does not expire until 10-12-2013 Go HERE to sign into your account and download the coupon. it's available only in certain areas :( . Thanks for sharing!